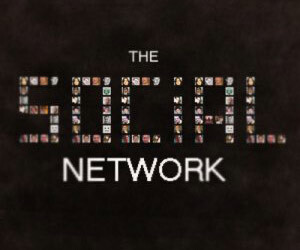 The Social Network is certainly the flavor of the season, having won four awards at the 68th Golden Globe Awards. The awards for Best Drama, Best Director (David Fincher), Best Screenplay (Aaron Sorkin) and Best Score (Trent Reznor and Atticus Ross) were all bagged by The Social Network.I won¡¯t say I¡¯m surprised. The movie doesn¡¯t have one dull moment. Were it up to me, I¡¯d add another award to the list; Best Inspirational Movie. Okay, I know such a category doesn¡¯t exist at the Golden Globes. The point I¡¯m trying to make is that there are many important lessons you can learn from the movie.Below are the top 3 lessons I learnt from ¡®The Social Network¡¯:Act now:How many times have you had a great idea but done nothing about it because ¡®there¡¯s always tomorrow¡¯? Procrastination is one of the biggest obstacles to success. As the movie depicts, Zuckerberg wasted no time in executing his idea. Zuckerberg¡¯s quick actions caught the Winklevii twins completely off guard but the movie shows you that if you don¡¯t act on a great idea quickly, someone else will beat you to it.Meet a major need: The reason Facebook is so popular is because it allows people to connect, know more about each other and essentially, get a peek into someone else¡¯s life. It is said that ¡®No man is an island¡¯. All humans thrive on social contact. Facebook gives an opportunity to shy people who battle with face-to-face interactions to meet new people, in addition to connecting with old friends. What entrepreneurs can learn is to ensure that the product or service you offer meets the needs of your target audience. Meet unmet needs and solves problems through your offering and you are bound to succeed. This is the branding idea behind most successful companies. If your offering adds value to your users, your product or service will get sold through the most powerful manner; word of mouth. Focus on growth: One of the main aspects that stand out when you watch the movie is Zuckerberg and Sean Parker¡¯s foresight. While Mark¡¯s business partner, Eduardo Saverin wanted to cash in on Facebook¡¯s popularity by getting ad revenue back when Facebook was created, Zuckerberg and Parker didn¡¯t want to sell out too quickly. Zuckerberg focused on content and increasing the number of users initially. He waited so he could target big fish instead of selling out to small fish too soon. This is an example of a great branding strategy. He worked to establish a trusted community of Facebook users and focused on earning revenue later. You can now promote and advertise business on Twitter!